It is possible to adapt toolbar palettes with a few easy steps to your own requirements. Furthermore it is possible to send the adapted toolbar palettes to others by using the import/export commands. 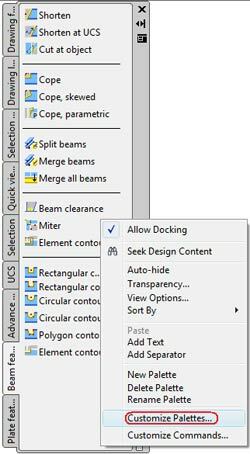 To add, for example, commands to an existing palette, open the desired palette and the context menu by a right click. Then click "Customize Commands" in the context menu. From this command list you can select the desired commands by dragging and dropping them to the palette. You can enter a search item at the top, for example, "UCS", to see only all commands dealing with the "UCS". If you want to copy or move already existing commands from one palette to another, right click the desired command and choose "copy". As you can see, there are a lot of other options. 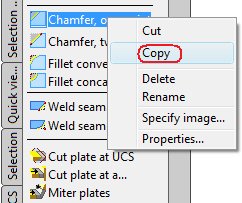 When you have copied a command, you can right click in a free area and insert that command. In this menu you can see that there are a lot of options to adapt palettes, for example, inserting a separation. If you want to save your modified toolbar palettes, or if you want to import other palettes, you can do that easily by using the "Customize Palette" command. 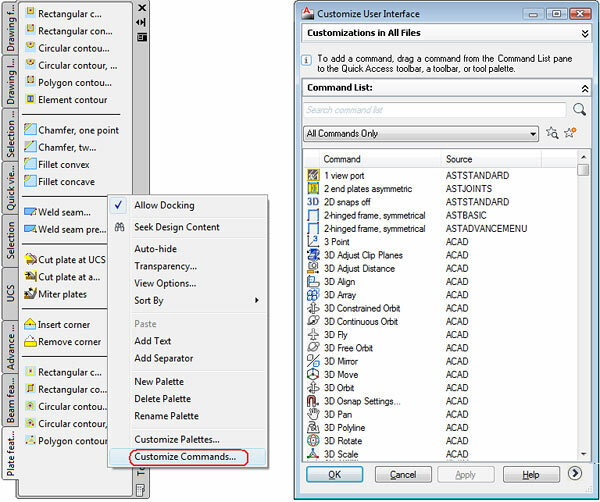 You can select the command from the context menu, which you can activate by right click. In the "Customize Palettes..." menu you can define new groups for palettes or you can import/export existing groups by right click. In addition you can import/export several toolbar palettes. 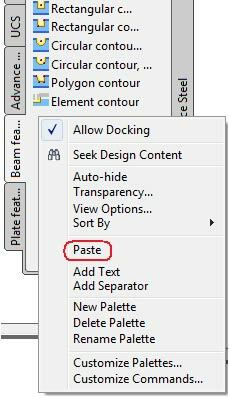 If you want to create your own palette, it is highly recommended to save the modification in a file, so that you can still reuse your template after updates or new installations.